A workshop running for anyone local to our studio in Middle Aston to join us for an evening of Block Printing. 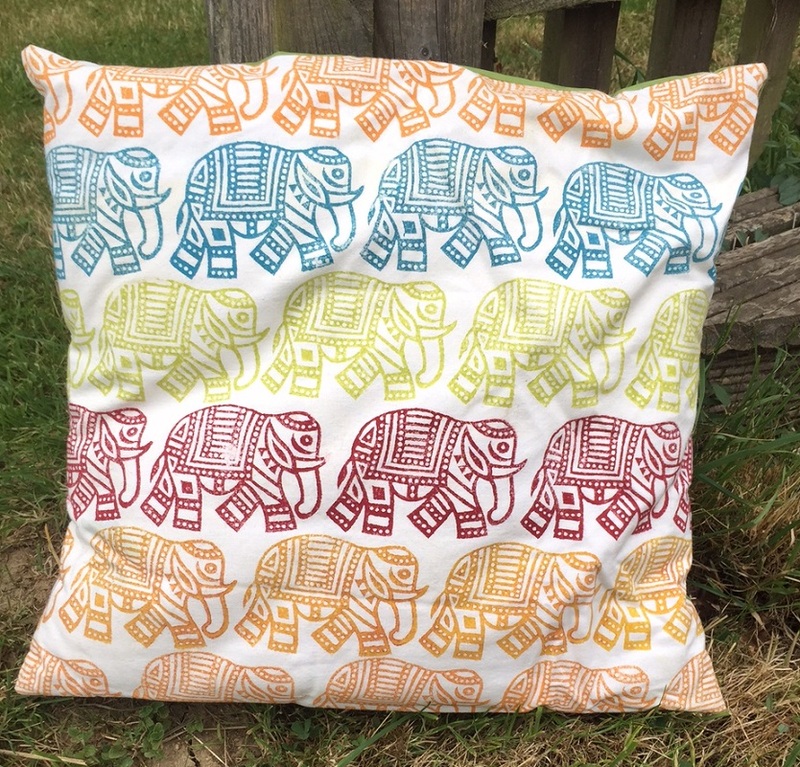 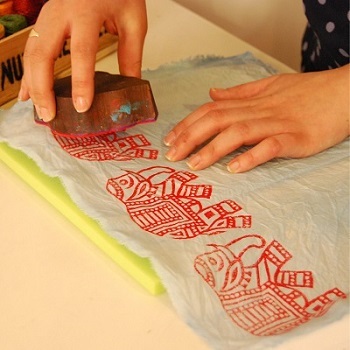 Workshop for all abilities whether you’ve purchased a kit from us and haven’t had a go yet, need some help perfecting your printing or have never tried Indian Block Printing and want to have a go this workshop is for you! 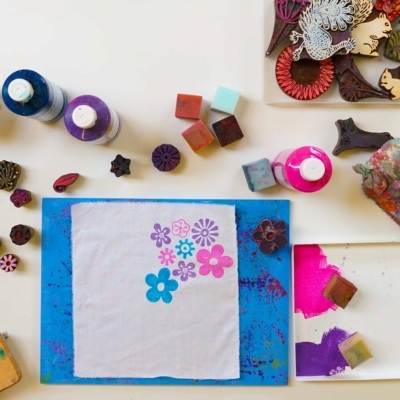 Join The Arty Crafty Place for a creative evening block printing, suitable for all abilities! 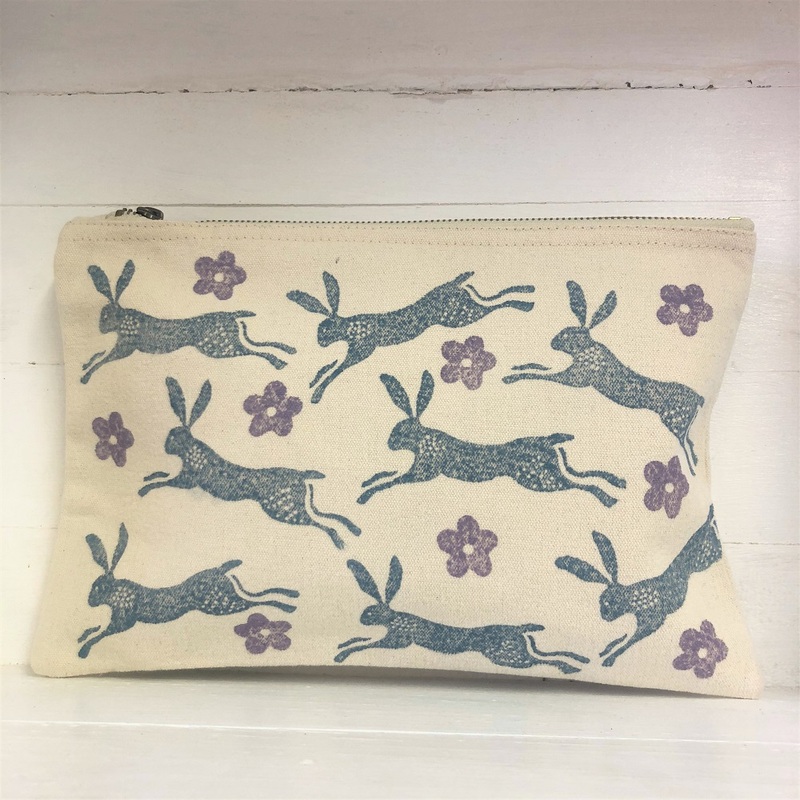 You will have the chance to hand print 2 items of your choice from our selection of fabric items (such as a Tea Towel, Tote Bag, Wash Bag, Laundry Bag, Purse, Pouch, Napkins, Scarf, Apron and more!) 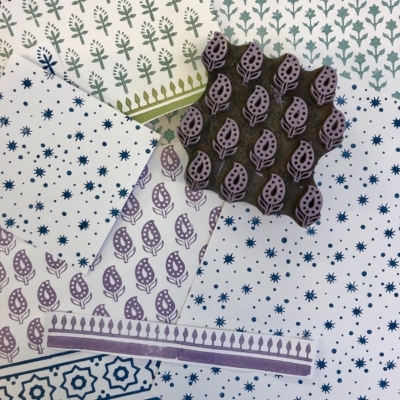 first starting on practice fabric testing out different designs & colours until you feel confident printing and also having a go onto paper! 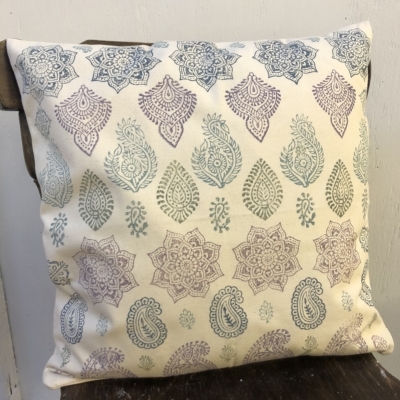 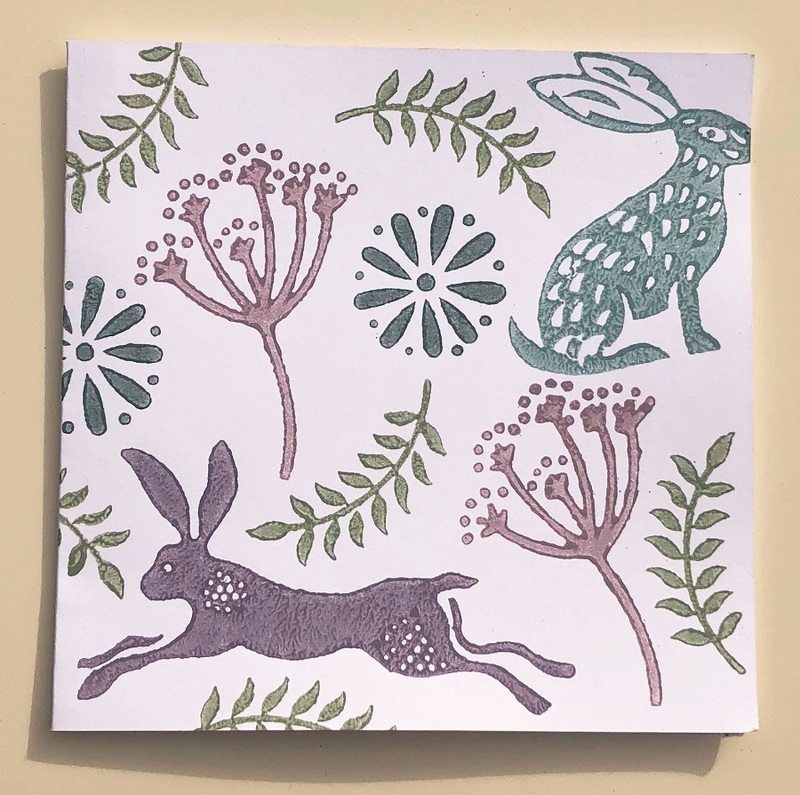 We will be on hand to give you a full demonstration on how to block printing and provide you with lots of ideas & inspiration on what you can make! 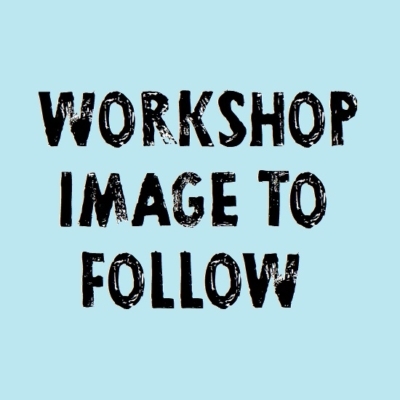 Materials will be provided along with Tea, Coffee and cake. 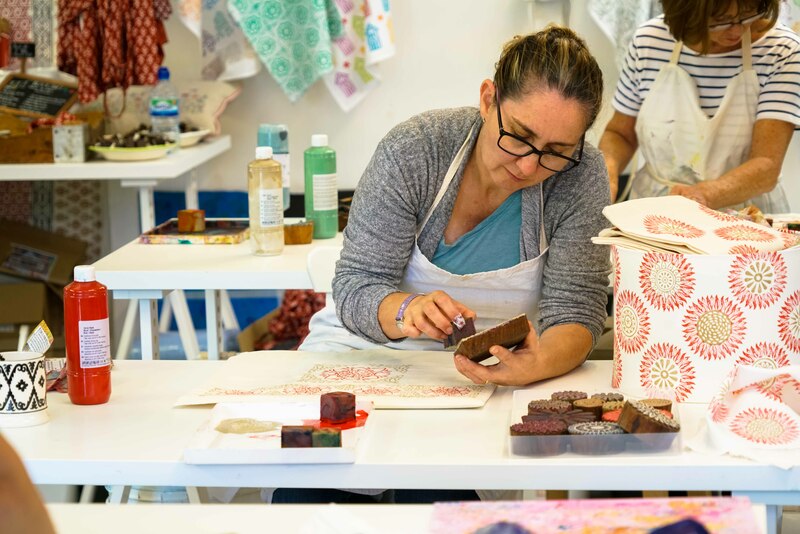 Extra items can be purchased for a small additional fee.